Other books are fantasies, adventures, mysteries, stories of friendship and growing up, stories about animals and toys. Not all of them will mean something special to you, but we hope you see your favourite books somewhere in this exhibition. 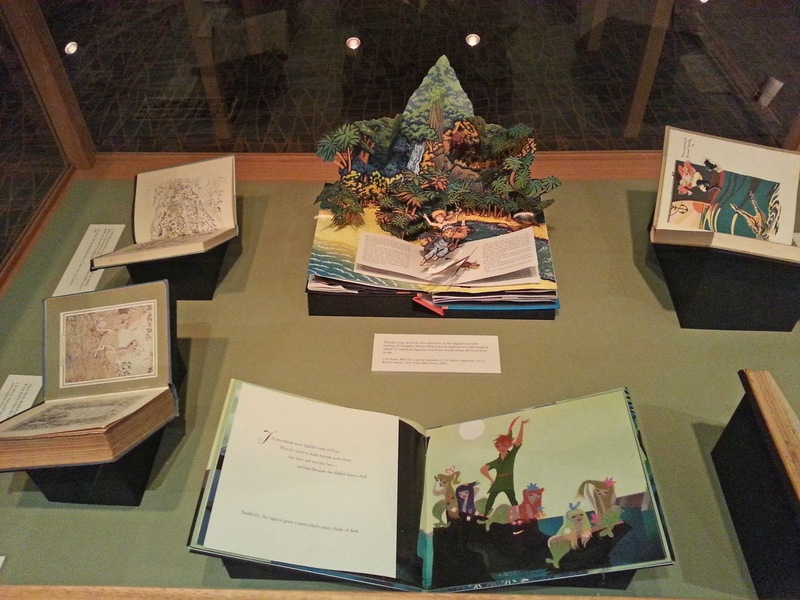 Make sure you check out the 'Old Favourites - An Exhibition of Children's Books' at the Central City Library, Level 2 - find out more. The exhibition has just opened and runs until 23 February 2014, so you have plenty of time to come along, take a trip down memory lane and marvel at the beautiful illustrations. You are sure to find a book that holds childhood memories for you. There is even some pop up fun courtesy of Robert Sabuda's stunning version of J.M. Barrie's 'Peter Pan' (see below).